At 2:50:21 a.m. Mountain Daylight Time, the Sun and Moon join each other at 15 degrees 17 minutes of Aries. New Moon events always call us to seed dreams. Aries encourages us to Spring into Action. Yet, not at this New Moon. In fact, there is a call to visit the S.P.A. for a few days. Yes, we have a field of hesitation in the energy of the New Moon and we are encouraged to Stop, Pause, and Allow a deeper awareness of the intended goals we want to manifest and learn how to refine them for true success. How can we recognize this energy that puts a stop to our intentions? We will feel like we are at a roadblock and not easily recognize how to get around it. That roadblock is initiated by the arcing lights of the Sun and Moon squaring Saturn, and Saturn responding with the challenge to truly dig deeper into the path we are creating. The Sun and Moon are opposing the Earth as she rides through the corridors of Libra, and Earth sends arching lights to Saturn, squaring off with that field as well. Yes, we are called to deliberate for a little bit and perhaps, not do it alone, but seek the wisdom of another (Libra) for counsel, if only to hear and contemplate a different method to unfold our goals. The Moon will move off the squaring position by April 6th at 7:06 a.m. MDT. Thus, any angst we are feeling will be released. However, the cognitive focus to get moving is still stifled for about a week as the Sun and Saturn continue their “standoff.” For another view of what we can do with this experience, please read the New Moon of Alder on the website: www.katherinebell.org. As we take a look at the power of the New Moon, we can get beneath its vibration by reviewing the Sabian symbol message and decoding its wisdom: “Brownies dancing in the setting sun.” These beings of the fiery realm are providing us a union with others…for more than one are dancing. They are celebrating the end of the day and this will also assist us in realizing the angst is moving away and we won’t be feeling the pressure to “go, not go” as much as we will through the beginning of the New Moon. As noted with the message above to “counsel with another,” the brownies are reminding us to celebrate and share what each has to offer. In so doing, new insights come through the communication and assist us in feeling eased in the midst of feeling stopped. In fact, when you think of times you have shared a story with another and they said something that hit your inner knowing, you can recognize the occurrence of a flow you had with a positive feeling of inspiration. In fact, you had a knowing the gift of another answer to turn your angst into a direction you want to follow. 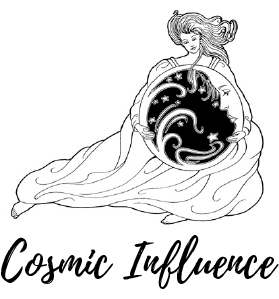 The Sun and Moon also arc a light of challenge to Pluto in Capricorn, allowing Pluto to present a field of awareness of what has been governing your inner fears and challenges to transmute our unconscious. The great blessing of this awareness aids us in recognizing what stifles us when we want to progress and achieve our most important goals. Awareness often helps us change directions. Mars is beginning to send messages to Saturn through a sesquisquare (a minor irritation that will become major if we don’t listen and respond). Mars is in Gemini and the two qualities can be active, reactive, and attempt to move without thinking things through. Thus, Mars is calling on Saturn to aid in calming the nature of action with a foundation to support the ideas being stimulated. Chiron is in Aries, also feeling a call from Mars as they sextile each other. Mars is calling for the positive inspiration of the healer, Chiron, to reveal creative states of wisdom that can guide the ideals emerging from the eternal regions of our psyche. Finally, I will remark about the challenge that is occurring as Mercury squares Jupiter in Sagittarius. Water and air (Mercury in Pisces) can put out the flames (Jupiter in Sagittarius) of our quest as we face a challenging field to create new outcomes in our life. The wind (Mercury) could inflame the fire, while wishy-washy challenges of Pisces can sway the wind to blow the water over the traveling fire and put it out. Thus, we may not use the greater power of the Mind (Mercury) to focus on the Alchemical power of Fire and Water to create a beautiful art-piece that is the inspiration of our inner self and the expression of our purpose. Let us all learn the lessons of the challenging New Moon and Stop, Pause, and Allow a sacred moment of going within. May we hear the messages of our higher nature, share it with at least one other person, and contemplate how we might use our creative drive in ways that lead to our success.